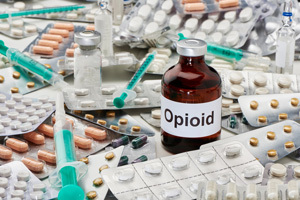 USA- According to the NYTime.com, last year, 72,000 people in the United States fatally overdosed on drugs. Out of that record-breaking total, over 2 out of every 3 deaths was the result of opioids. The numbers are shocking and indicate that on average, 130 people died a day because of opioid overdoses. The death toll from opioids is higher than fatalities from firearms and traffic accidents. Problems from opioid misuse and addiction also impact another 11 million Americans. These addictions impact not just the individuals, but their whole families. The government is going after drug dealers, street gangs, corrupt doctors and pharmacists who have contributed to the high levels of opioid abuse. Recent lawsuits have been filed against defendants who sell illegal synthetic forms of opioids such as fentanyl. Fentanyl is a powerful form of opioids that can easily be overdosed on because people often fail to realize that it is an extremely potent drug. Fentanyl played a large part in the rapid spike in opioid deaths. This one form of opioid is killing around 80 Americans every day. Fentanyl is sold online by illegal websites. In some examples, websites offered bulk sales on powerful forms of the drug including, carfentanil, which is derived from fentanyl and is so strong that it is used as a tranquilizer for elephants. The government is now working to prevent the shipments of these drugs into the country. Have you or a loved one suffered due to Opioid use?